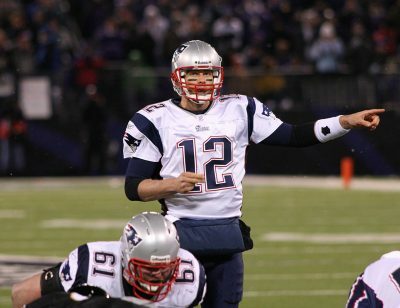 It is, perhaps, the most controversial argument in current NFL history: even with Spygate, Deflategate, a four-game suspension and two Super Bowl losses under his belt, is Tom Brady the greatest of all time? Yes. And when the Pats win Super Bowl LI, it will finally be indisputable. Of course, it is a little presumptuous of me to say that New England’s win over Atlanta is guaranteed. But let’s face it: the Falcons stand no chance against Brady and Bill Belichick. With an extra week to prepare, Belichick is going to pick apart the young guys on Atlanta’s defense, which will allow Brady to soar with his star-studded cast of receivers (and Martellus Bennett) to another win to end the season. Matt Ryan, on the other hand, will have to deal with all the stress and pressure that comes with his first Super Bowl appearance (pressure that the Pats are more than used to) and, quite frankly, I can see him caving into the pressure just like Cam Newton did last year. Ryan’s name has been thrown around for MVP — which I think is fair, considering he’s had a great season — but people are hyping him up in this Super Bowl matchup way too much. First of all, Ryan has Julio Jones to thank for most of his success, but even if you factor out Jones, it’s still insulting for people to think he competes on the same level as Brady. But the narrative is on Ryan’s side. Houston will feel like a home game to Atlanta, as no fan there will be cheering for the dominant Patriots to win yet another Super Bowl. The Falcons are the underdogs in every sense, and everyone wants to see what might be one of the only opportunities this franchise gets to legitimately contribute to the NFL — but NFL fans want to see Brady and the Patriots lose more than they want to see Ryan and the Falcons win. NFL fans are so eager to hate the ever-great Brady that they ignore and disrespect his extremely impressive and never-ending career with hilarities like Deflategate. But when he leaves Houston on Feb. 5 with a Super Bowl ring on each finger of his golden touchdown-throwing hand, no one will ever be able to question whether his successes are merely flukes of the system or a result of great coaching. Brady has always faced adversity on the football field, and I would argue that he plays better with it. Whether it be fighting for his starting position at the University of Michigan or working his way up to takeover for Drew Bledsoe post-Ray Lewis hit (or as I like to call it, “The hit that changed the NFL,”) Brady is unstoppable when he has a chip on his shoulder. And boy, is that chip especially big this year. Last year was not Brady’s year. Yes, Goodell made him angry with the investigation and accusations, but Brady was still able to saunter into week one with virtually no repercussions from Deflategate. After a rough loss to Peyton Manning and some time off, however, Goodell fired back with an undemocratic, totalitarian and just flat-out ridiculous four-game suspension that left Brady watching film at home. And that is when the fire really began to burn. This is it for him. One last ring to prove to everyone that he is, without a doubt, the greatest quarterback to play the game. With seven Super Bowl appearances and a fourth Super Bowl MVP award, there will be no more comparing him to the Manning brothers, Joe Montana or, in this case, even one-hit-wonders like Matt Ryan. He will be on a completely new level, one that is unmatched by any of his predecessors, and one that is wholly unique to the dynasty of Brady and Belichick’s Patriots.